Welcome to the official Canyon Hills Community Church app. Checkout all kinds of content which you can download and share with your friends and family via Twitter, Facebook or email. 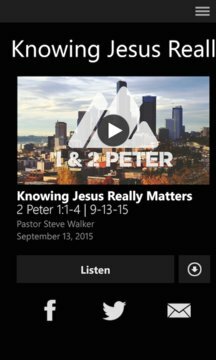 Enjoy quick access to our Sunday messages or browse Life Group options to get plugged in. For more information about Canyon Hills, please visit http://www.canyonhillscommunitychurch.com. 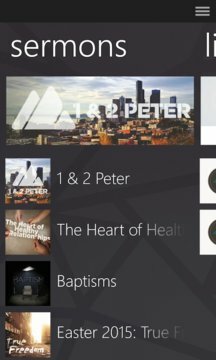 The Canyon Hills Community Church app was developed with the Subsplash App Platform.